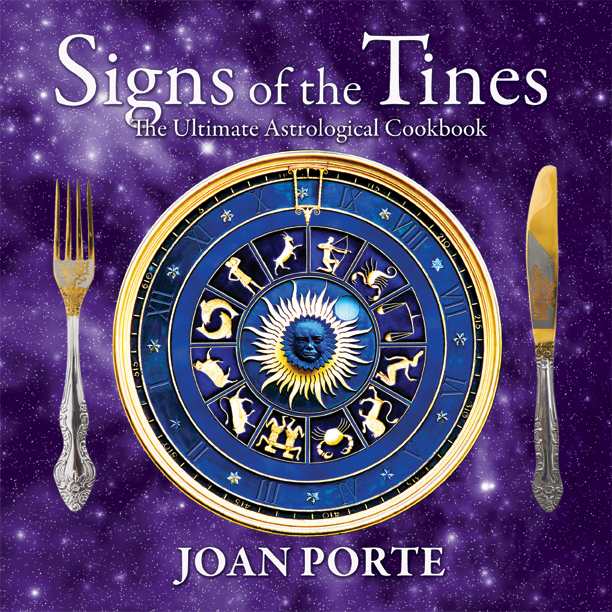 The 295-page book with more than 120 recipes is written to celebrate a unique pairing of food and astrology. • Pisceans beat a common ailment when feasting on quinoa with roasted root veggies. “These recipes are taken from a number of sources; some are family gems, others I’ve concocted and tweaked over the years,” says author Joan Porte. The home cook will discover how astrology as a source for new food ideas and new ways to entertain friends. And the astrology enthusiast will discover how cooking can be a new use for astrology as a way to add more meaning to the daily ritual of eating we perform to survive and thrive. 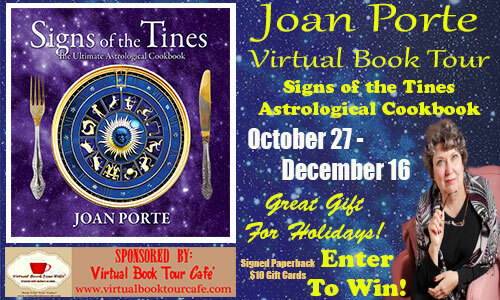 Joan started “playing” with Astrology when she was in grammar school. She always had a fixation with the planets – Pluto being her favorite (surprise she is Scorpio Sun!) Yes, Pluto is still a planet to her! She put her astrology “toys” away when she grew up and went into the “real world,” sadly convinced that it was time to do more important things. The universe and her North Node in Sagittarius woke her up in her mid-thirties after which she began an intensive study of Western astrology. “Each person is born with a map – a soul map – that is his or her astrological chart. It is a map through the maze of life that shows the karma we need to balance our soul’s desire for a life that leads to enhanced soul growth. I simply read the map – illustrating where you have been and where you are going to make your journey through life less bumpy.” With this cook book Joan is combining her astrological knowledge with her lifelong love of cooking in her own inimitable way. She is the author of the blog Karmic Astrology. Her other book is Fortyish: Lessons For the Ages From a Baby Boomer. A new breed of cookbook that combines personal astrology with a love for preparing and sharing delicious meals. 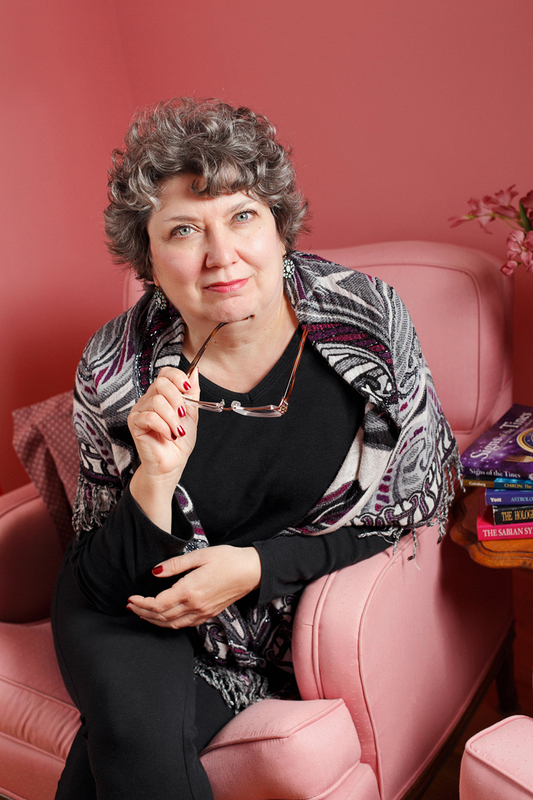 Astrologer and gastronome Joan Porte brings a new, fun twist to cooking by showing anyone who loves to cook how to personalize a menu for your family and friends. Beautiful photographs complement the more than 120 featured recipes organized by zodiac sign. Choose a dish or plan a multi-course meal with selections from: Appetizers, Soups, Pasta, Veggies & Fruit, Meat & Fish, and Dessert for each of the twelve signs. SIGNS OF THE TINES is a heart-warming and mouth-watering invitation to eat in alignment with our stars! Taurus is a bit confusing when it comes to color. Bulls are drawn to the color red; however, the color associated with Taurus is emerald green, symbolizing the pastures in which they love to laze comfortably. Therefore, I offer here a very red veggie dish with a dash of green. One of the first dishes I made when I was a kid were tomatoes stuffed with chicken and tuna salads. I thought they were just the neatest things. As I grew as a person and a cook, I encountered many recipes that stuffed tomatoes with some kind of creamy spinach messes or ones that were all breadcrumbs and cheese. Cut the stems off of the tomatoes and scoop out the pulp, leaving the shell. Set the pulp aside in a small dish. Drain the artichoke hearts in a colander. Remove the cooked vegetables to a small dish to cool and add the artichoke hearts to the pan. Cook until they begin to turn golden brown. Squeeze the juice of the lemon in a small dish (watch the pits) and pour over the hearts. Let the lemon juice cook down and add the olives. Stir in the oregano and remove immediately from the heat. Add all of the vegetables together in one dish and let the mixture cool to the touch. Fill the tomatoes ½ way with artichoke mixture, add a layer of feta, fill the tomato to the top with more artichoke mixture and top with more feta. Place a basil leaf on top of each tomato. Place tomatoes on a greased cookie sheet and bake for 10 minutes. The cheese should be melted and lightly brown. *Depending on the size of your tomatoes you may have some artichokes left over. The mixture is great reheated and used as a topping for steaks or salads. ← Shutting down for the moment – Will be back as soon!